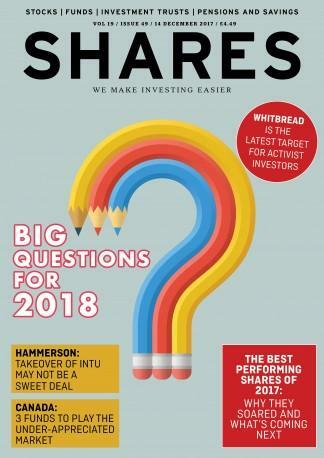 Shares magazine is a weekly publication aimed at the serious private investor, and can help you make the most out of your investment during these volatile times. Written by industry experts, we can help guide you on where the markets are going, not just report on what has happened. Every article in Shares features actionable content and suggestions for trades to make you a profit with our famous BUY, SELL recommendations. Shares magazine covers much, much more than stocks and shares. Each week you get comprehensive coverage, guidance and analysis on listed companies from FTSE, AIM and PLUS markets, as well as industry insight from the people that count in our Griller interviews, features, sector reports, funds, commodities news, small caps and more. We also provide instruction and insight into instruments including ETFs, CFDs and spread betting to help you make profit regardless of market trends. The digital version of the magazine is available at www.sharesmagazine.co.uk and can be viewed as web pages (responsive for tablet and mobile), pageflip or subscribers can download it as a .pdf to read or print off at home. and much, much, more ……! This is a fantastic magazine, I have been reading it for over a year now and it has given me a great insight into how to trades the markets (and made me a lot of money on their tips!) Highly recommended - a must for anyone serious about investing.